Zone out after sitting too long? Or restless and can’t concentrate? Break the monotony of sitting in the office all day with the Ergolux Electric Dual Motor Height Adjustable Sit Stand Desk (140 × 70 cm). Smart alarm alerts you when you’ve been sitting for too long! 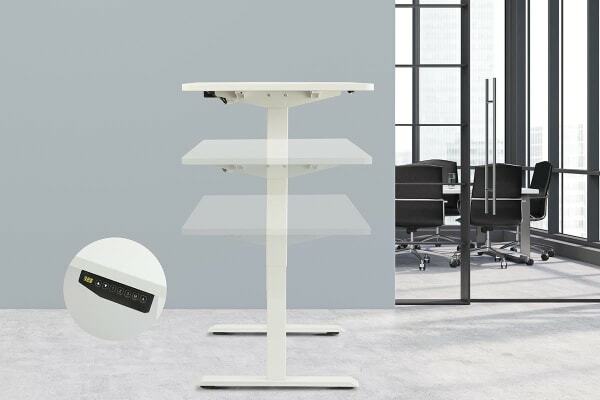 With the Ergolux Electric Dual Motor Height Adjustable Sit Stand Desk you can get your work done without impacting your wellbeing. 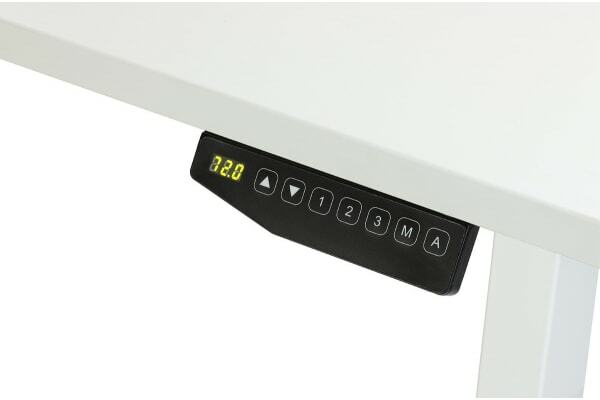 The desk rises quietly at the press of a button to a height you choose, and the easy to use control panel has a sit/stand reminder system that you can customise to find a balance of sitting and standing that suits you best. 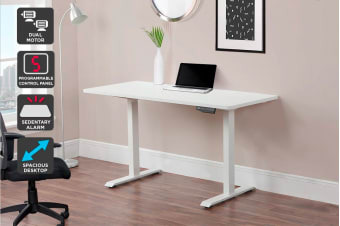 Plus, it has enough room to hold your for your monitor, keyboard, mouse, notepad, phone and more, making the transition from sitting to standing a breeze. Studies have shown many health benefits associated with standing at work – including reducing the risk of obesity, easing back pain, and providing a mood and energy boost. Bouts of standing can also benefit cardiovascular health and posture by engaging forgotten muscles, and help burn off excess energy so you can improve your focus on the task at hand. 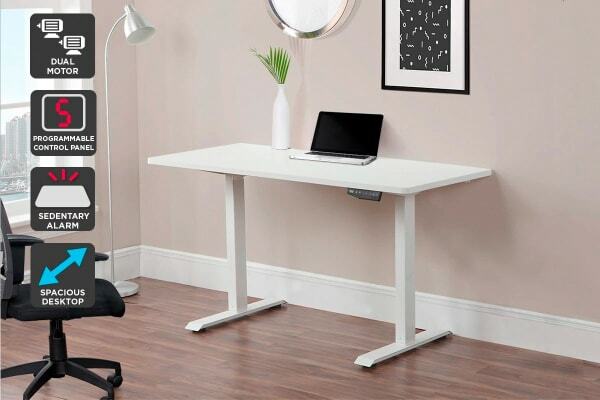 Whether you’re trying to be more active or simply can’t sit still, the Ergolux Electric Dual Height Adjustable Sit Stand Desk* will become your new favourite coworker.